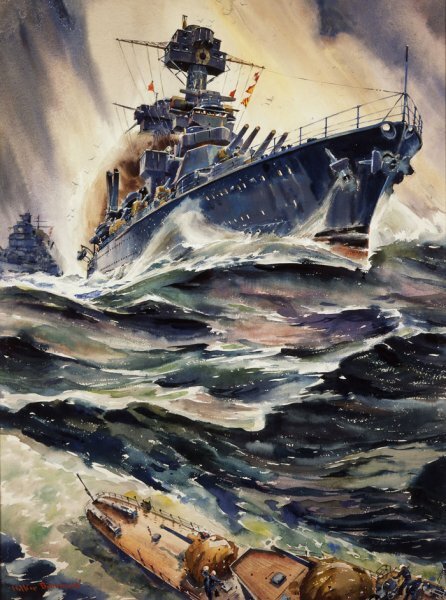 Maritime Museum of San Diego is proud to announce the opening of two new exhibits for maritime and art enthusiasts Saturday, February 23 – September 30, 2019. The new exhibitions will be included with general admission ticket purchase and located aboard the 1898 steam ferryboat BERKELEY. “Art of the Sea”: To the artist Arthur Beaumont (1890-1978), the sea and the vessels that sailed on it held endless fascination. He sought to create an artistic record of the activities and accomplishments of the U.S. Navy, from the launching of the U.S.S. CONSTITUTION, to the fierce battles of World War II, to the Atomic Bomb tests at Bikini Atoll, and to the expeditions to the North and South Poles. In 1958, Beaumont was named Artist Laureate of the U.S. Fleet. “Sea and Shore”: This art exhibit features submissions from members of the Plein Air Painters Association of San Diego. This group of professional fine artists are regionally and nationally known, have independently exhibited their works in museums and galleries throughout the country, and are members of national professional art organizations. Their paintings document the essence of San Diego, whose very identity is uniquely defined by the sea.